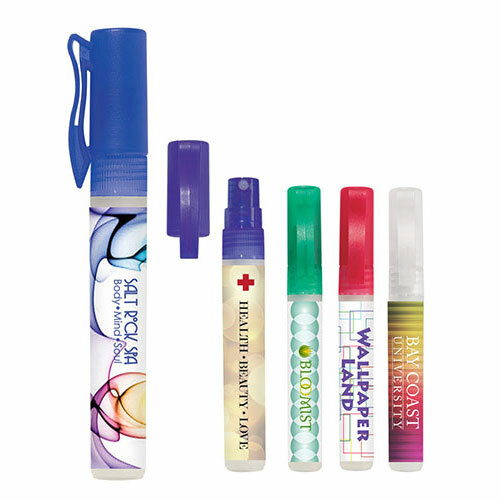 Customized Hand Sanitizer Spray Pumps are thoughtful and useful giveaways! 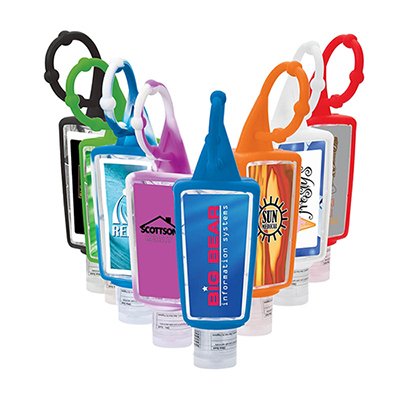 Your customers will appreciate receiving these sanitizer pumps that lets them ward off germs and bacteria effectively. 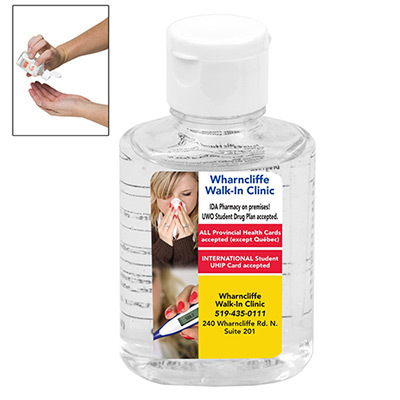 This anti-bacterial spray is lightly scented and leaves hands dry and clean. 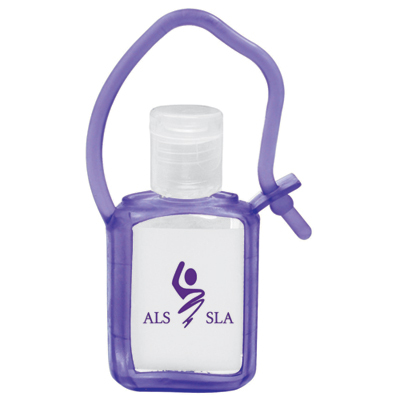 It meets FDA requirements and fits conveniently in a purse or pocket. Call us to order today! 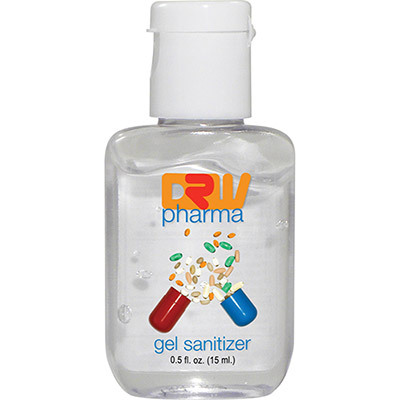 Effective at eliminating over 99.9% of germs and bacteria!